I have already spoken about the Jurlique ethos in my previous post so I will try and keep this brief. If you want more details about the brand, you can head on over to my previous post or check out their website here. Jurlique , Australian brand, was founded in the 1980s by Dr Jurgen Klein and his wife Ulrike. He is a Biochemist while his wife is a Botanist and together, they have developed the Jurlique natural skincare range. 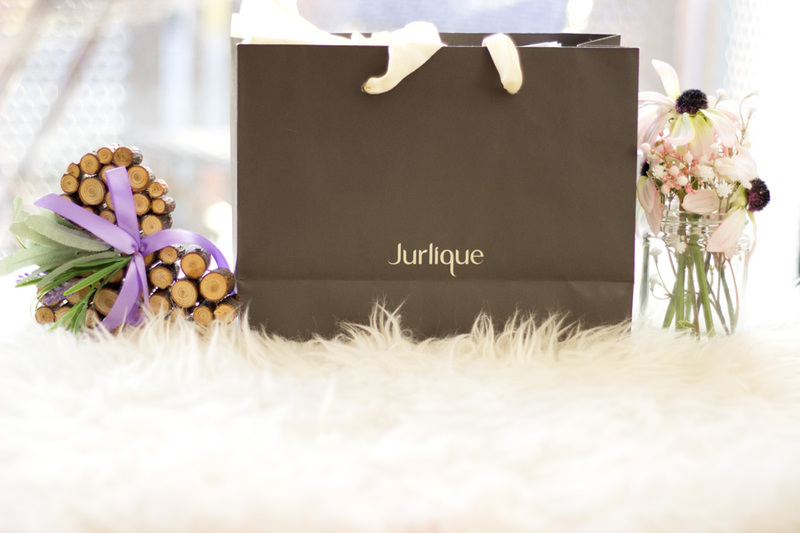 The name Jurlique is a combination of their first names. Originally from Germany, the couple moved to the Adelaide Hills in South Australia to realise their vision and grow their own ingredients for their skincare range. 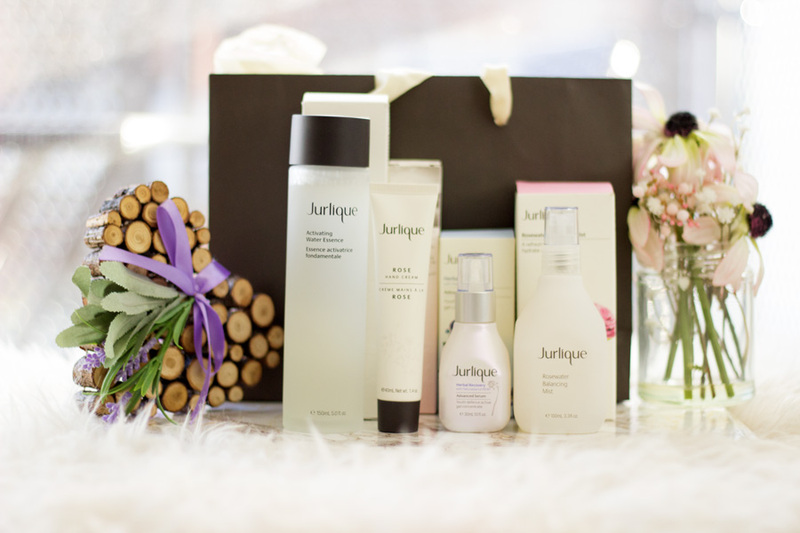 Majority of the ingredients used in Jurlique products are all grown on the Jurlique Farms in Adelaide, Australia and you can tell that the ingredients are from wholesome sources based on the quality of the products. Fun Fact- All the roses used in the Rosewater Mist are hand picked from the Jurlique Farms and prepared over some days to get the freshest rose essence imaginable. That's why the Rosewater Mist is one of their best sellers and it is such pleasure to use. I have to give it up to Jurlique when it comes to their packaging because they look so luxurious and are a beauty collector's dream. I wish I had a glass dressing table because that's what these lovely products deserve as they are gorgeous. More importantly, the products inside the bottles work so well. I don't know why I always thought the Rosewater Balancing Mist came in a plastic bottle but it is actually a glass bottle (or feels like one) which makes it really lush to use. It is slightly heavier and may not be ideal to pop in my hand bag but to be honest, I love using it more at home. The Activating Essence is also housed in a gorgeous glass bottle. On the flip side, the Rose Hand Cream comes in a plastic tube which is lightweight so it is ideal for my handbag or on my desk. Overall, I am really impressed by the quality of the packaging and you can tell a whole lot of thought has gone to their development. The outer paper packaging is made from recycled and sustainably sourced fibre which is always good to know. I really like the packaging of the Activating Water Essence because it feels so luxurious. I already mentioned that it comes in a glass bottle which is quite sturdy. It has a really secure lid and although it may not be ideal for light travelling, there will be no fear of spillage at all. 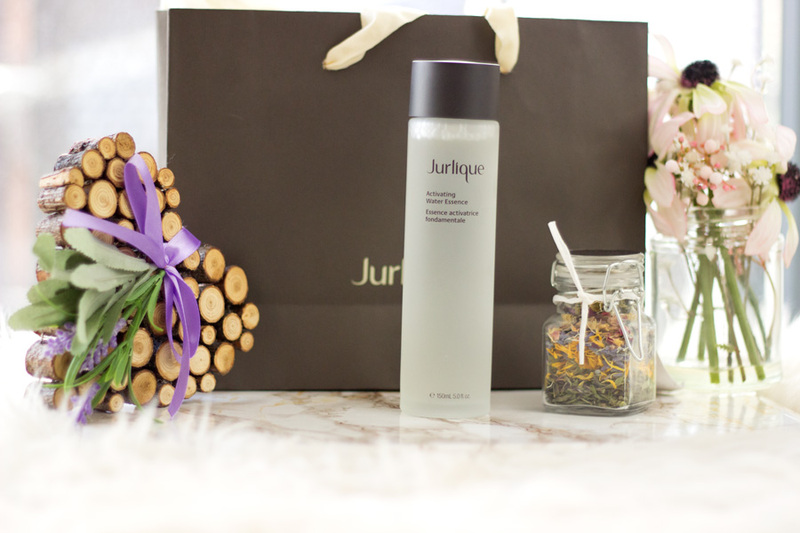 Jurlique describe the Activating Water Essence as an essential step for every skincare ritual and skin type. It promises to hydrate the skin and enhance the performance of other skincare products (serums, moisturisers, etc). Its main active ingredient is their biodynamic Marshmallow Root Extract which is known for its deep hydrating properties. With these promises and claims, I was eager to put it to the test. I have to say it does majority of what it claims which is providing amazing hydration. I use it straight after my regular toner although I think if I skipped my toner, the Activating Water Essence will do the job and even more when it comes to balancing my skin after cleansing. It smells very fresh like a spa and I can definitely smell the lavender, rose and peppermint coming through. It feels very refreshing once it hits the skin and it takes a short while to get absorbed which I don't mind. I don't use a cotton pad with it because I feel it will just lead to wastage. I just tip it onto my palms and apply directly to my face. I have to say it does help my skin feel perky and ready for the rest of my skincare. When I was trying the entire range out, I felt like my skin was more receptive to the Jurlique Herbal Recovery Advanced Serum*. It is quite expensive at £40 but you are getting 150 ml and you know that the quality of the ingredients are top notch. Also, you need a little amount for each use so I think this bottle will last me at least 4-5 months even if I use everyday (morning & night). I have really enjoyed good using this essence this winter and my skin does not feel as dry as before. I know it is suitable for all skin types but if you have dry and dehydrated skin and your current skincare routine is not providing enough hydration, this essence may actually help optimize them. I am now turning into a proper serum junkie and I am yet to come across any serum in my collection that has completely let me down. That's mainly because I am careful when it comes to purchasing a serum and accepting/featuring serums that are sent my way. 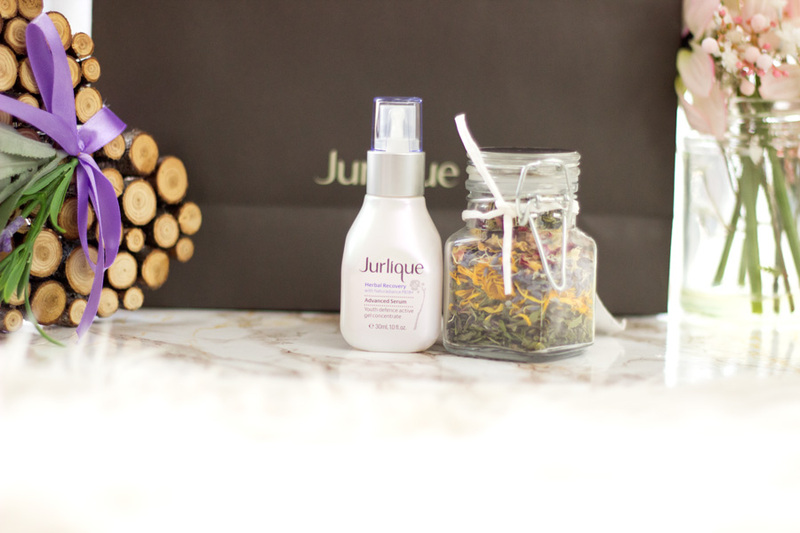 During the Jurlique UK Store Launch Event, I came across the Herbal Recovery Advanced Serum and I knew I wanted to try it. I think the name Advanced Serum definitely caught my attention. Jurlique describes it as a concentrate serum which is anti-ageing, hydrating, radiant boosting and provides environmental protection. It features the Jurlique proprietary active complex of over 18 botanical extracts, vitamins and essential fatty acids designed to provide the skin with a natural defence shield against environmental aggressors. You can check out the ingredients list here. Again with these lush claims, I was more than eager to see how it delivered the results it claimed. First off, I think the packaging is one of my favourite serum packagings. It contains 30 ml of product which is pretty standard for almost all the serums I own. It comes with a pump and a lid with an opening that makes it secure when travelling. The biggest nightmare for me is finding that my skincare has spilled and made a mess in my skincare travel bag. Thankfully, that's not the case with this baby. Its texture feels like a very light cream so it's one of those serums I classify as a serum-moisturiser hybrid texture. It pumps out like a very light cream but it feels like a serum based on the way it applies and gets absorbed. I use this straight after the Activating Water Essence both in the morning and evening/night. One pump is enough for my entire face but I think I will opt for two pumps if I didn't use the Activating Water Essence before it. It does feel hydrating and sinks in pretty fast. When it sinks in, I don't feel like it has disappeared completely; I can still feel its hydrating effect on my skin. It does not interfere with the rest of my skincare and I am really pleased about it. It is mainly designed for anti-ageing which I am not too fussed about at this stage of my life nevertheless I definitely don't want any premature ageing which is usually caused by environmental factors among other factors. I think it will be one of those products that I will see and appreciate its full effects in the long run. If you live in a city and you are getting into your 30s, this will be a welcome addition to your skincare routine in terms of providing antioxidants. What I did notice was how soft my skin felt each time I used it and it sustained this softness through the time I used it. 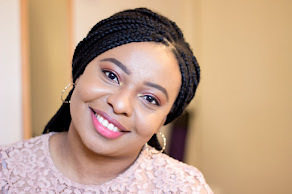 It felt really good to have soft hydrated skin and I felt like it brought back my skin's natural radiance which the winter has stolen. This is one of the best sellers from Jurlique and with good reason. I believe this was the very first product that got me looking at Jurlique as a brand. 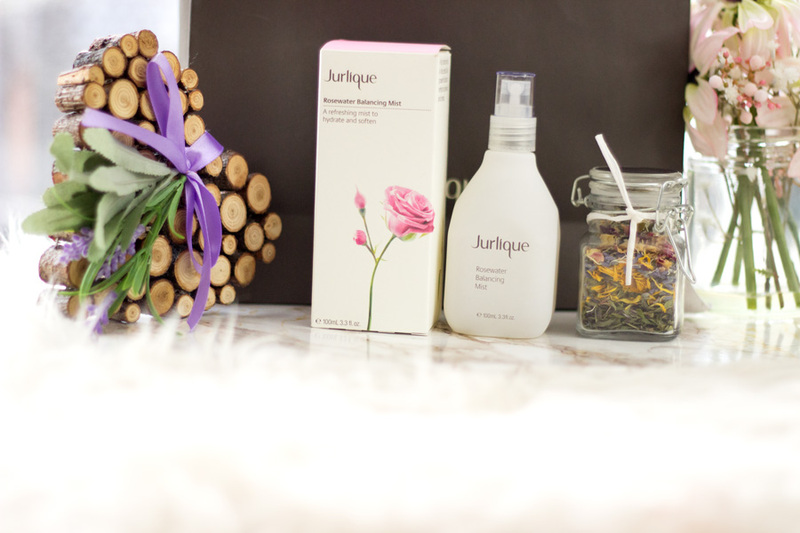 If you are a beauty enthusiast or addict, you would have heard about the Jurlique Rosewater Mist at some point either on blogs, YouTube or Instagram. It just seems to be everyone's favourite. 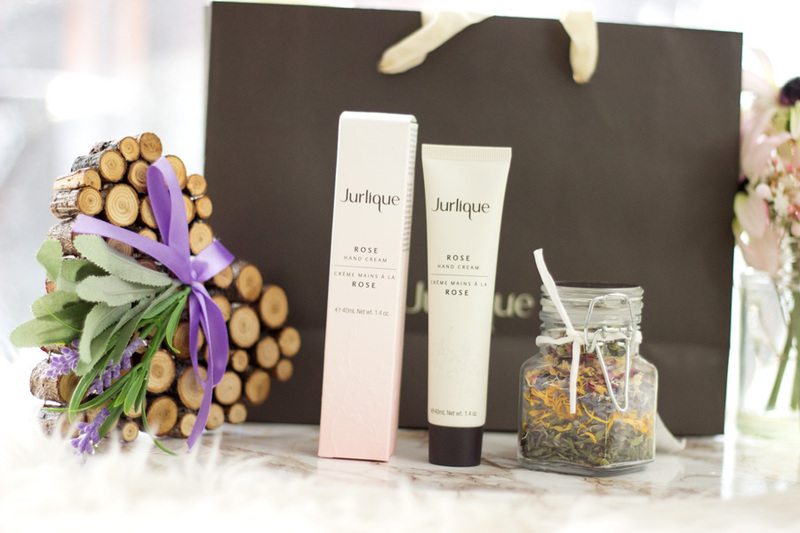 At the Jurlique UK Launch Event, we were taught how to take care of roses and the roses used on the day were the David Austin roses. Yes, you guessed right, they are also the same roses used in the Jurlique Rosewater Balancing Mist. 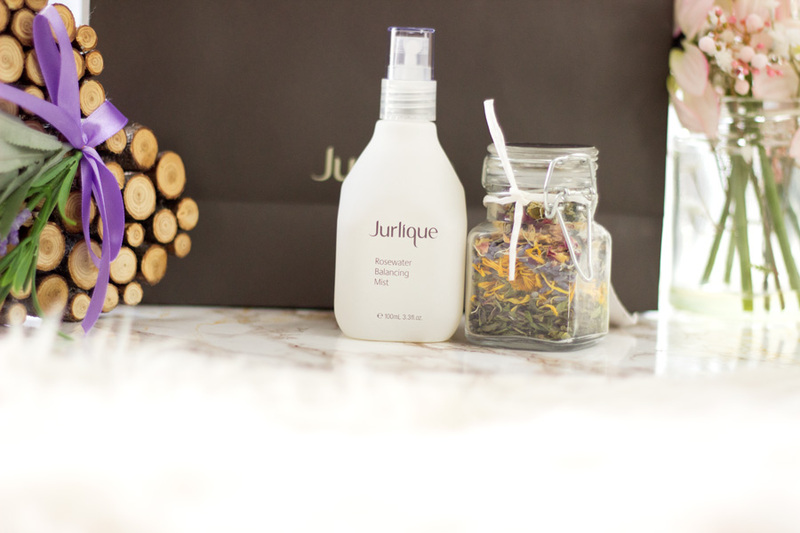 Jurlique describes this mist as a refreshing mist which is designed to hydrate and soften the skin. 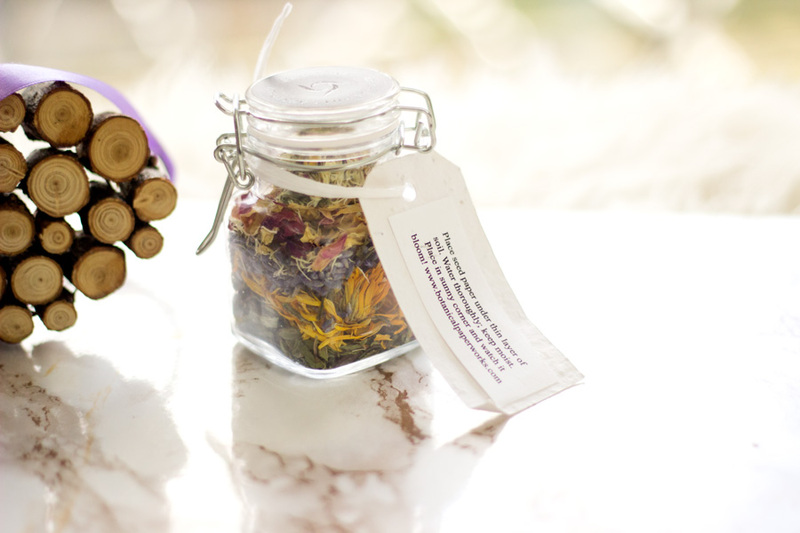 As the name suggests, it is rich in Rose Essential Oil and powerful botanicals (Marshmallow Root Extract, Grapefruit, Aloe, etc) to help refresh and enliven the skin. I saw that it contains alcohol as one of its ingredients and that got me raising my eyebrow. However, I have not noticed any drying or irritating effect so that's a good thing but I just wanted to highlight that. It's not uncommon to see a facial mist containing alcohol. It's not the easiest to travel with especially if you are obsessed with it as much as I am. It smells so beautiful like you have been granted entry into a beautiful garden of roses. It's not the usual annoying matronly rose scent at all and I think even people who are not fans of the rose scent will actually like this mist. One think I want to highlight is the way the mist sprays or distributes its mist. It is a light and even mist which starts off narrow and spreads out to completely cover my face. 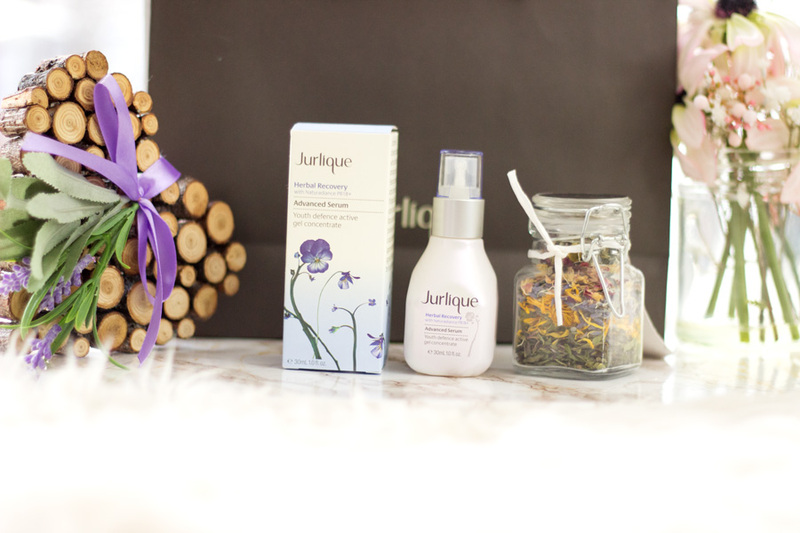 It's bliss, I tell you and I am so pleased with the way Jurlique have designed this mist. I have used mists that were great but sprayed in the most annoying way that they just ended up being useless. Thankfully, the Rosewater Balancing Mist sprays so beautifully and it is a proper joy to use. Now on to the benefits, I feel like it ticks all the boxes for me. It is super refreshing and hydrating. I have used it as a toner, a skin refresher and a makeup setting spray. It works so well in all these ways and if they had a miniature lightweight bottle (I think they do a 40ml as part of a gift set but I don't know how light it is), I would purchase it for my handbag in a heartbeat. When I use it as a makeup setting spray, it does not break down my makeup rather it just brings it all together. Sometimes I go overboard with my powder (as an oily skin girl) so this mist helps balance out everything. What can I say? I just love this mist so much and I totally get every hype. The winter weather and my frequent hand washing (I work as a hospital pharmacist) have made my hands less soft than before so I have been using a lot of hand creams lately. 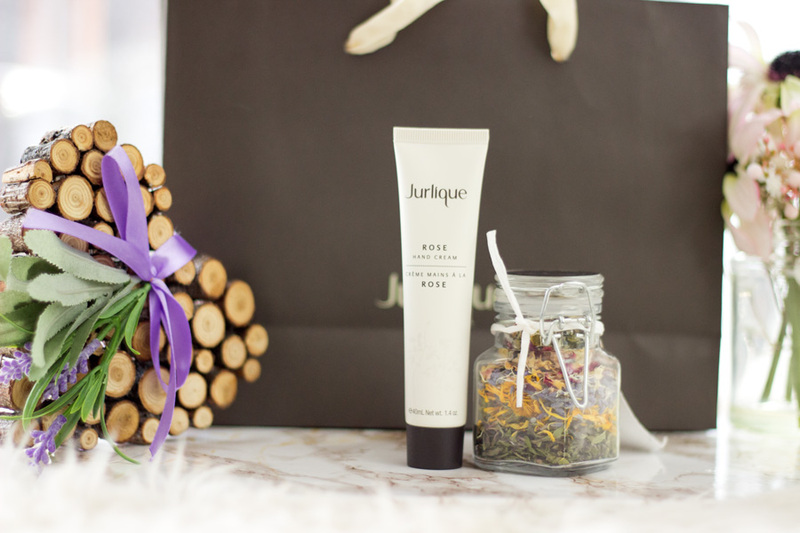 The Jurlique Rose Hand Cream is a welcome addition to my stash and I have enjoyed using it. I was lucky to get a beautiful hand massage at the Jurlique UK Store Launch and I was even taught how to give myself a hand massage. I can't say I do the technique every night but when I do remember, I whip out my Rose Hand Cream. As you would have guessed, it has a beautiful rose scent. It actually feels moisturising and I feel like it coats my hands completely with a light film. It gets absorbed but I can still feel it on my hands which is good for the winter season. I am keen to see if I would still like it during summer. For this reason, I prefer to use it at night because of its texture and it can get absorbed without me having to use my hands. I won't say my hands are the softest right now but there have been improvements. 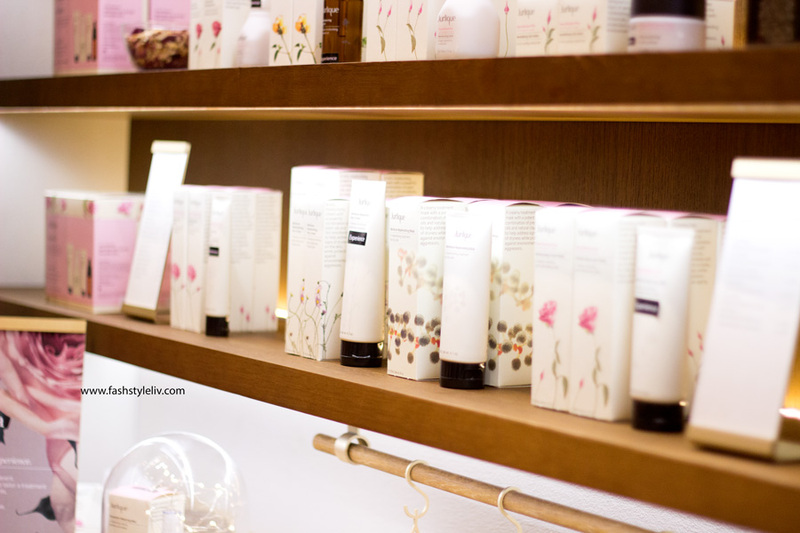 If you love roses and you want a good hand cream, it is definitely one to check out. 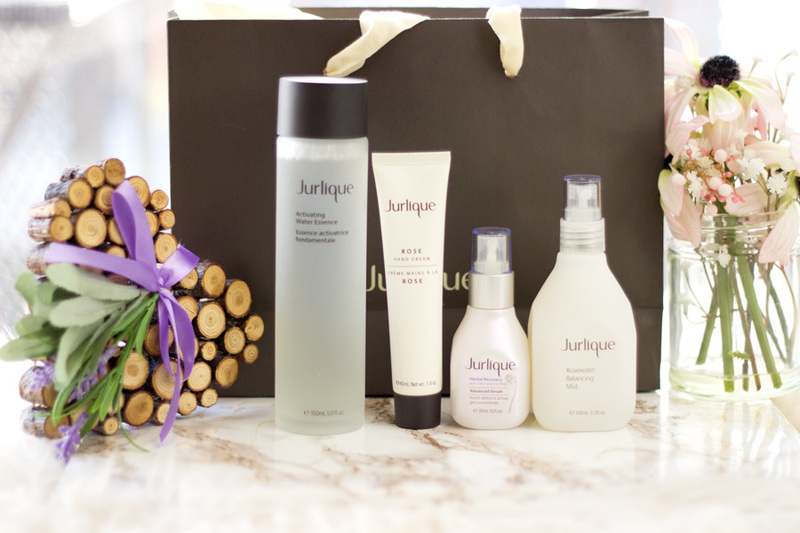 Jurrlique products can be purchased from the Jurlique UK website and the regular Jurlique website. You can also find them in other retailers here in the UK such as Debenhams, Space NK, Look Fantastic, etc. I personally recommend checking out the Jurlique UK store on 489 Oxford Street London if you have time. They have such a wide array of products there and you can check out this post to see photos from the store. They also offer facials there and the Jurlique staff members are so helpful. These are all my thoughts on the Jurlique products that I got to try. I am really pleased that I got a chance to try them out. I have enjoyed incorporating them in my skincare routine particularly this winter. If I were to choose only one product from the entire range, it will be absolutely difficult as I feel all the products have a place in my stash. I think if push came to shove, I will go for the Rosewater Balancing Mist and the Herbal Recovery Advanced Serum. I hope you enjoyed this post and see you in my next one. 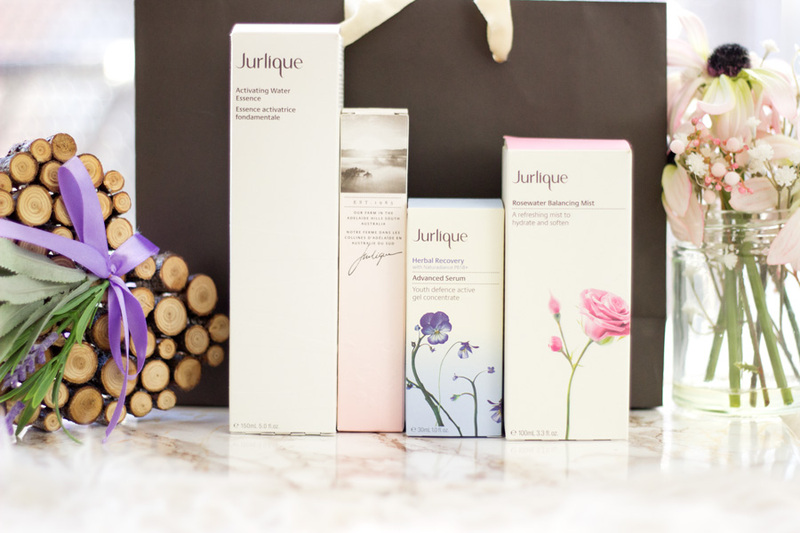 Have you tried any products from Jurlique? I have always wondered about Jurlique and wondered if I'd ever give it a shot! From the sounds of it the rose water mist sounds divine and I think that might be the product I chose as a starter. Thanks so much for sharing!